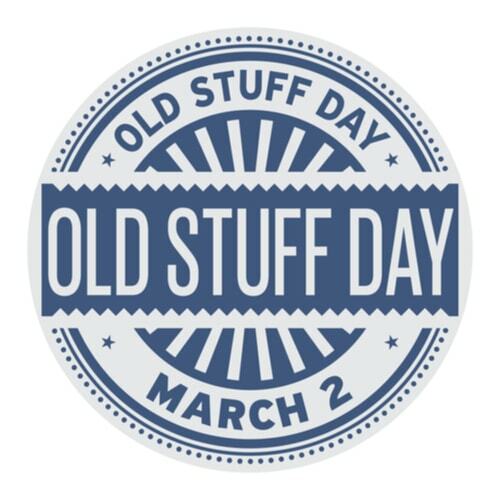 On March 2nd, we celebrate National Old Stuff Day. This day is recognized as a day to remember, reuse, or even put the saying "out with the old, and in with new" into action. Many of us can benefit from observing a day like this, especially if you are the type of person that tends to save things or even hoard. It's a great opportunity to take stock of the things you have, clean out a storage area, or even get a jump start on organizing your taxes and spring cleaning. Some items you have stashed away should have probably been trashed years ago, but others may have the potential to be reused or repurposed. Take a look online at the endless DIY projects where people have transformed trash into treasure. You may find a creative and inventive way to give seemingly worthless junk a second life. For instance, an old door that has been weathered beyond repair and unfit to hang in any doorway can have a second life with just a little effort and creativity on your part. Have a look below for some great ideas on how you can bring "old stuff" back to life. Today, there are so many amazing ideas on how you can repurpose an old item outside its original purpose. A door that once hung in your home can find a new place in your home with just a little creativity. That empty area above your couch may need a little something to make the room pop. Why not use the door to make a full-length mirror and hang it horizontally, or fasten some frames along the length of the door to display the beautiful family photos you have. Maybe you have your own idea for the door? 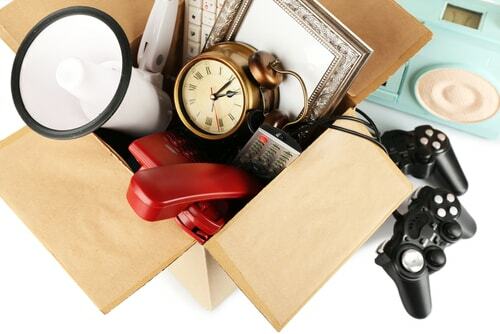 National Old Stuff Day is your chance to put your plan into action. Why use an old wooden bench to sit storage containers on in a dark and dreary closet? There are so many creative ways to make use out of a beautiful piece of furniture like this. Do your kids have toys strewn all over the house? Why not repurpose that bench as a toy box? If there is no storage compartment, then you can always repaint it and place it in your garden as a place to sit and relax, or even cut holes in the seat and use it to display your potted plants and flowers. Now that would be a nice contribution to any garden or patio. Do you have an old chest of drawers that has a dated look or has simply seen better days? If you are determined to get rid of it, save a drawer before you take it to the curb. That drawer can be reused as a comfy and sturdy pet bed. All you need to give it a second life is a fresh coat of paint a comfy cushion with a fun and decorative cover. Your pet will love their new cozy hideaway, and you can pat yourself on the back for turning trash into treasure. Old colanders, otherwise known as "spaghetti strainers," have been repurposed as lampshades and light fixtures by crafty individuals for years. All you need is an old metal colander, maybe some high-heat spray paint to freshen it's look up a bit, and a light kit or lamp base. Everyone will love the amazing effect of the light play across your ceilings and floors, and you'll enjoy upcycling potential trash into home decor treasure. If you have a larger project that you would like to try, but money is an issue at this time, maybe a quick cash advance is all you need to get started. Remember, the only real limitation is your creativity, so start digging through those closets, garages and attics to make this National Old Stuff Day the best one ever.